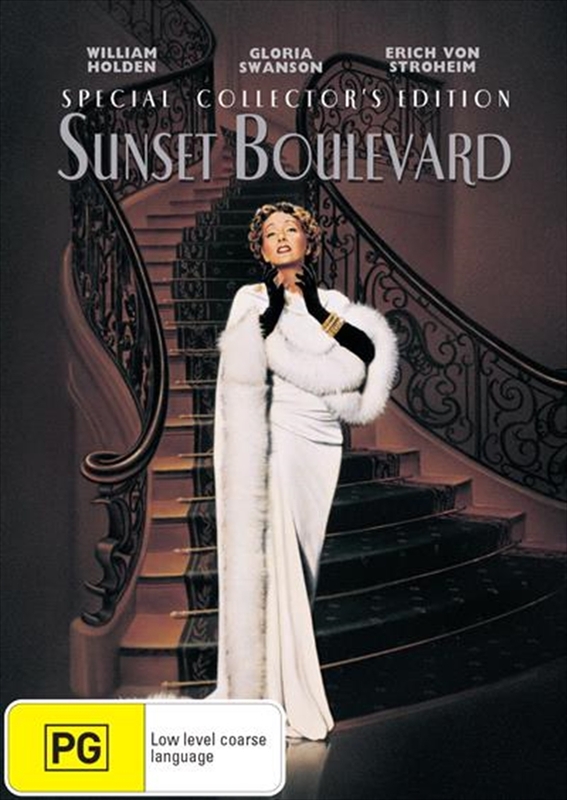 Gloria Swanson as Norma Desmond, an ageing silent film queen, and William Holden as the struggling writer who is held in thrall by her madness, created two of the screen's most memorable characters in Sunset boulevard. Winner of three Academy Awards, director Billy Wilder's orchestration of the bizarre tale is a true cinematic classic. From the unforgettable opening sequence through the inevitable unfolding of tragic destiny, the film is the definitive statement on the dark and desperate side of Hollywood. Erich von Stroheim as Desmond's discoverer, ex-husband and butler, and Nancy Olson as the bright spot in unrelenting omnisiousness, are equally celebrated for their masterful performances.